If your organization wants to be a leader in the industry, then you need top-level leaders within your organization. Women ON Point is a corporate consulting firm that can help you get there. Let us customize our professional development content to help you achieve the goals you’ve established for your conference, annual meeting, or professional development event. While we specialize in women’s leadership development, our leadership development consultants can advance the effectiveness of your male and female leaders at all levels: from C-suite and senior-level executives, to emerging leaders and those leading teams. 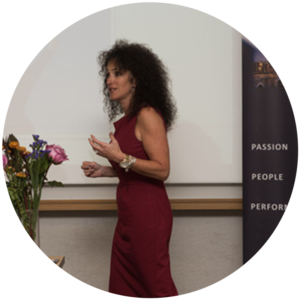 As an executive coaching company, Women ON Point partners closely with clients to tailor our time together to your team’s unique needs, strategic goals and priorities. What are the biggest challenges your leaders currently face? Where do they need help getting to the next level? What strengths do you want to reinforce? What successes do you want to build upon? Whether it’s refining leadership styles, building and motivating teams, creating a high-performing culture, improving diversity and inclusion, or something completely unique to your organization, we can help. We’ll work together to ensure the time we spend with your team achieves exactly what you need, from creating a format that will make them feel most comfortable, to ensuring the amount of time we spend—half, full, or multiple days—enables us to make real progress on your most pressing issues. Women ON Point was outstanding! The coaches are excellent, warm, and welcoming and the panel was top notch! This is a value for people at all levels of leadership, and an opportunity to reflect on what you do, where your skills and talents are, and a great reminder of things to work on to build a legacy for the future.